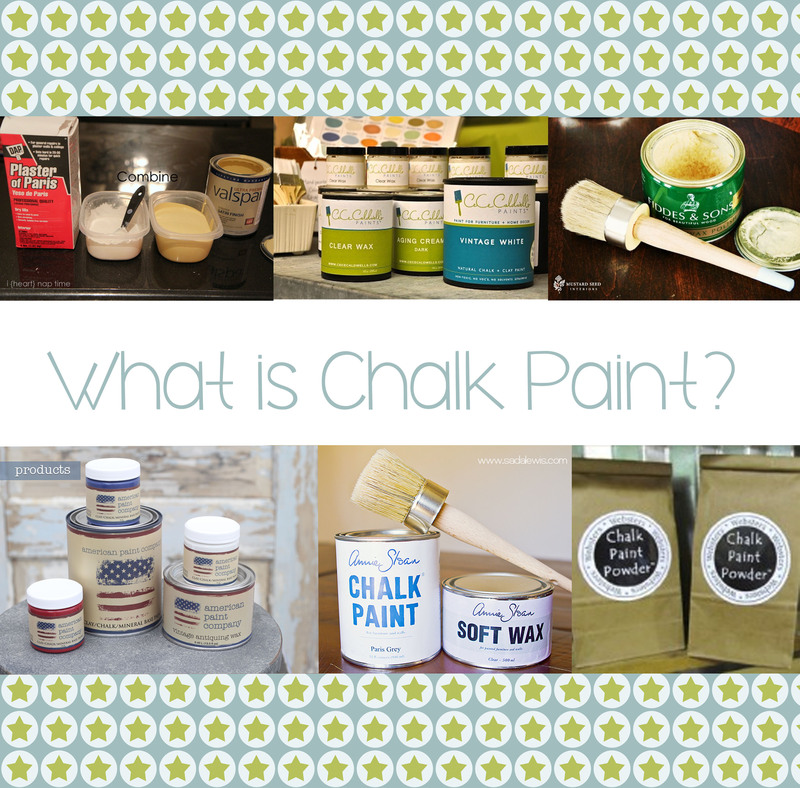 I was trying to describe chalk paint to a few friends the other day and I figured if they had never heard of it, maybe you haven’t either. But if you’re a blog reading, Pinterest addict, chances are you already know all about chalk paint, so maybe this post isn’t for you. But you can always check out my Pinterest board for some chalk paint inspiration. Chalk paint is awesome, that’s what it is! Oh you want more details, okay. Chalk paint is not the same as chalkboard paint, the kind you write on with chalk, although you CAN use chalk to draw on it if you don’t seal or wax your piece after you paint it. Chalk paint sticks easily to a wide variety of surfaces, so you don’t need to sand or prime your surface first. Crazy, I know! 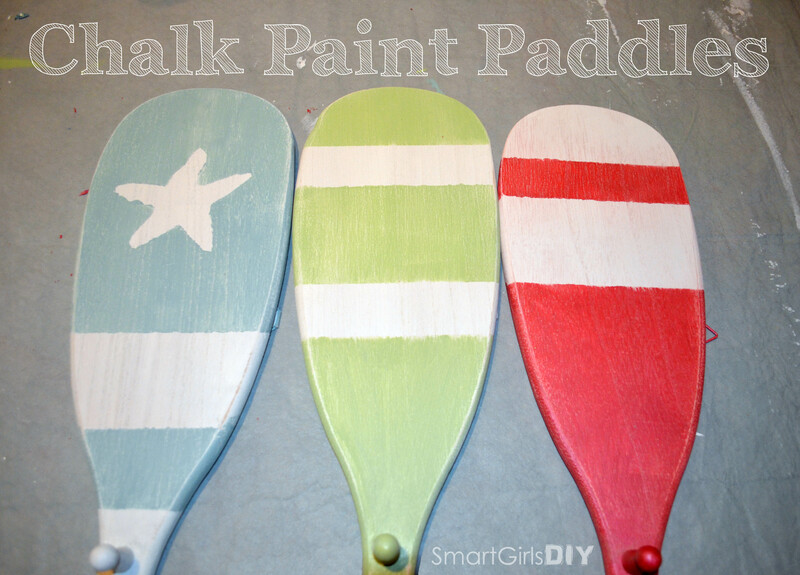 Chalk paint can be used on wood, metal, plastic, pretty much anything you can think of. Like a your refrigerator (see pic below from Vintage Charm Restored). You can use a brush, roller or sprayer to apply it and if left alone the results are a beautiful matte velvety finish. Chalk paint is also easy to distress, crackle or give a ‘chippy’ look. It is very easy to use and very forgiving. If you want it smoother, add water. You want it thicker, leave the lid off for a while. You want to use it as a wash to bring out the wood grain in a piece of furniture, add even more water and wipe off the excess with a rag. Use bristle brushes for an aged textured look or flat brushes for a smooth look. Wax can then be added to protect the surface and/or give the piece a textured look. Most of the pictures you see of furniture painted with chalk paint have an aged or worn look to them, but it doesn’t have to be this way. The darker color is the wax, which acts to protect the paint and to give more dimension to the color. If you want a more modern look, you can seal your piece with polycryclic or clear wax. Use a wax brush for the best results and fastest application. There is a nice tutorial by American Paint Company here. 1) Annie Sloan Chalk Paint (ASCP) seems to be the most ubiquitous, and according to the website, Annie Sloan invented and named chalk paint over 20 years ago. Bloggers swear by it, but it’s kinda hard to come by. Here is a list of shops in the US that carry it. Only 4 shops in New Jersey. Boo. Here are a few of the many ways you can transform things with Annie Sloan Chalk Paint. 2) Cece Caldwell is the other major retailer of chalk paint, with a claim to have the more environmentally friendly product, it is made in the USA of entirely of natural ingredients and packaged in recycled plastic containers. You know who uses Cece Caldwell products? Debi from Debi’s Design Diary. If you’ve never seen her YouTube videos, you’ve been missing out. She’s hysterical and does some awesome projects. Here’s one with Cece Caldwell paints. 3) American Paint Company is the newest contender, offering a full line of clay/chalk/mineral based paint as well as waxes, finishes and cleaners. My personal favorite product is Webster’s Chalk Paint Powder because it’s much cheaper than buying the pre-made stuff and my color choices are ENDLESS because I can use any paint I want. I shared my paddle drying racks last week, which used Webster’s and I have a few more projects I still need to post. You can add their powder to any latex paint (any brand, size or sheen). I love it because you don’t have to commit to a large amount of each color. I was able to whip up the 4 colors needed for the paddle project for next to nothing. (I already had a few paint sample containers laying around.) This is definitely a good budget friendly option! Here’s the Webster’s video. You might be thinking, “If chalk paint is just regular paint with an adaptive, why not make my own?” Well you’re not alone. There are tons of recipes on the web and lots of bloggers will tell you all about their experiences. So… that should be plenty to get you started. Sorry it’s not easier to run out to the store and buy chalk paint. I had a friend text me this weekend to ask where she could get some in a hurry. Unless you happen to live near a retailer, you’re out of luck. I told her she should make her own! DIY baby!! 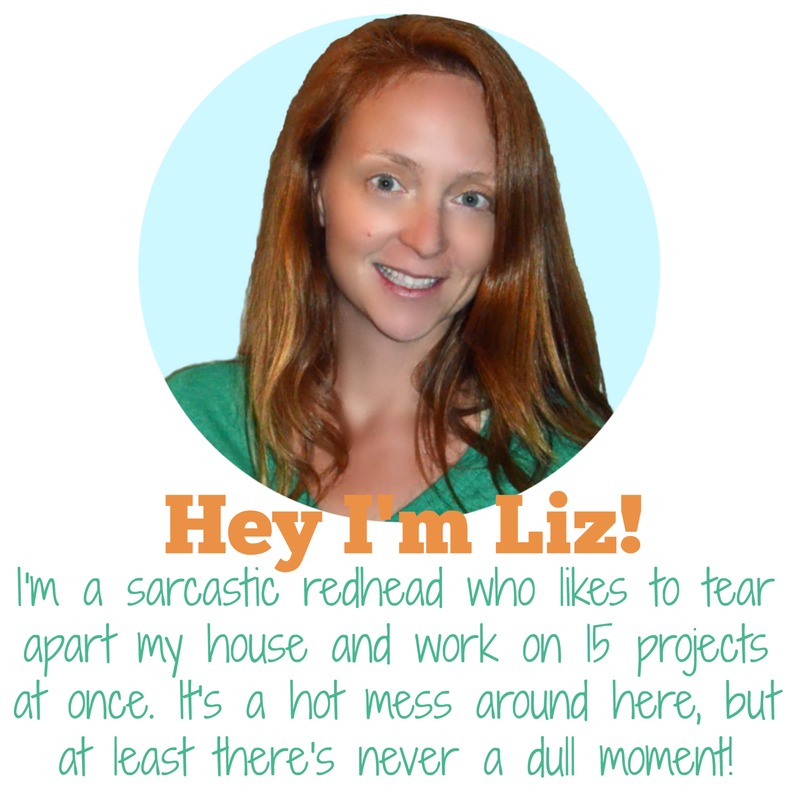 Hey Liz – great post. So I asked about finding it locally this weekend – she told me to DIY. I got online and found a recipe that uses “Calcium Carbonate” along with normal paint. I got if off Amazon. When it get’s here and I get my project done I’ll let you know how it all worked!! Very excited to paint my dark pine corner cabinet!! I think I am in love…. with the weather warming up I think I’ll be chalking it up in the near future! How did I NOT know about this stuff- growing up in OG we had this look everywhere (naturally distressed 🙂 ) and over the years I’ve stuggled to recreate it using washes and faux finishes, Can’t wait to try this out! As always- Thanks DIY Girl! You can actually buy ASCP and Cece Caldwell at the shore. There are a few places that sell each. I guess it’s definitely more of a shore thing. Let me know which kind you try and how it turns out. I have found it to be extremely durable, but you should definitely seal it before using in a high traffic area. I’ve had success with Fiddes & Sons Supreme Wax Polish in clear, but there are many options including polyacrylic. I painted a dresser with Chalk Smart paint from Micheals and I can’t get it to sand off!! Even wet it doesn’t work. I’m exhausted and sweaty. What can I do to make it easier to sand off? I have distressed numerous other pieces of furniture and never had this problem. Hi Patty, I’m not really sure. Are you using an electric sander or doing it by hand? I’M HAND SANDING, WHICH I HAVE DONE ON NUMEROUS PIECES OF FURNITURE IN THE PAST. I HAVE NEVER USED THIS BRAND OF PAINT BEFORE. I’M THINKING I WILL NEED TO PAINT OVER IT WITH A DARK COLOR AND THEN A LIGHT, IN A DIFFERENT BRAND AND GO FROM THERE. OR MAYBE RUB STAIN ON IT. I’M NOT VERY HAPPY!!! 🙂 THANKS FOR YOUR PROMPT RESPONSE.